If you would like to read a very interesting book of how 2 best friends from Singapore travel around the world, pick up this book! I was following them on their journey on 'instagram' over the months and when the book finally is out, you read the 'full story'! Ning Cai is a magician and Pamelo Ho a journalist. I bought the hardcopy and got them to sign it at a meet the author event. 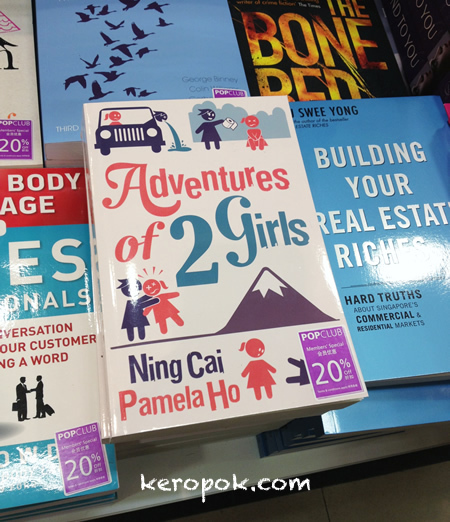 If you are in Singapore, you can get it at most bookshops. If you are elsewhere, amazon.com sells it too! Building a new house for the 3 Dinosaurs in NUS. Bar Bar Black Sheep Have You Any Beer?